The factory dial was stripped, polished, and reborn in 18k gold using traditional artisan techniques. 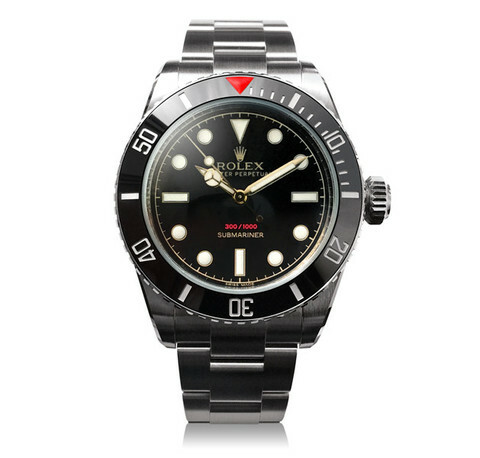 Original 114060 bezel was re-profiled to create its unique “coin-edge” teeth. Scratch-Resistant Cerachrom insert with porcelain-enameled red triangle. Anti-Reflective sapphire, Scratch-Resistant custom high-dome. 8mm vintage Brevet, Crown Guards removed. Re-profiled to be thinner, with bevels and lug holes.